Welcome to episode 9 of the French Language Division’s Continuing Education Series podcast. The main focus of this podcast is the craft of translation (English > French and French > English). In this episode, Miranda Joubioux joins Angela Benoit to talk about a Facebook group called called Pet peeves & bêtes noires des traducteurs FR<>EN, which Miranda co-administers. 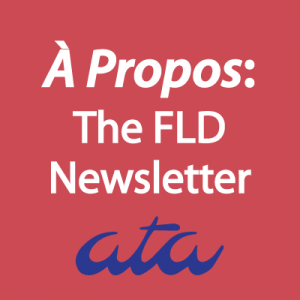 Find out what recurring challenges French/English translators struggle with and listen to some of the elegant and creative solutions suggested by members of the group. Before you leave, make sure to join the group and contribute to these engaging conversations. Miranda Joubioux was born in the region of Dublin, Ireland and has been living in Brittany, France for 27 years. She translates from French into British English, under the name of ART4U, a company she set up in 2004. She specializes in the nautical industry, architecture and construction, as well as the Food Industry. 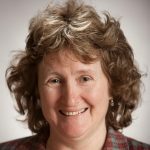 She is an active member of the Société Française des Traducteurs. In 2014, she contributed to their review Traduire, with an article on La crème de la crème. 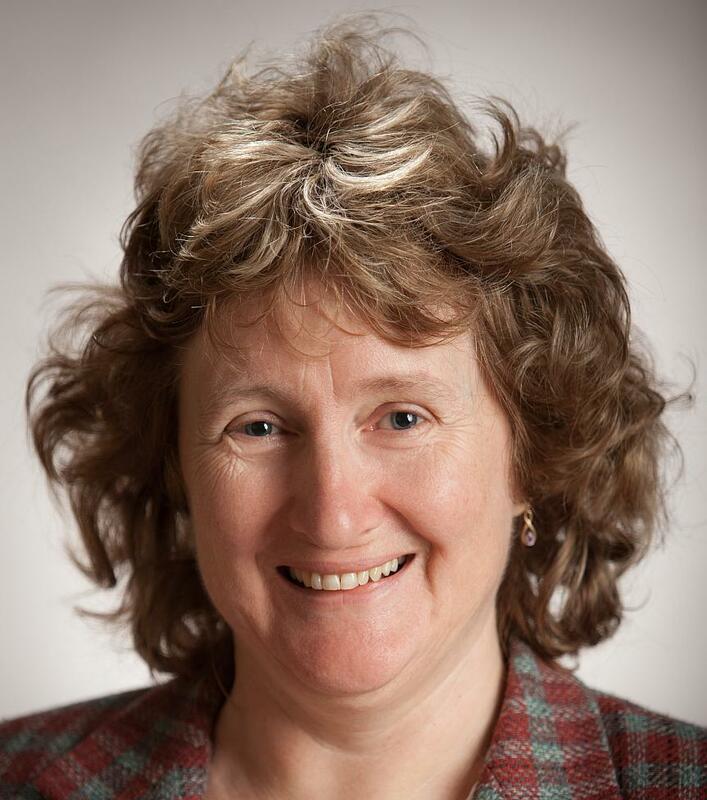 She is a member of a number of Facebook groups for translators and runs Pet peeves & bêtes noires des traducteurs FR<>EN, a group focusing on translation skills. Whenever she’s not involved in wordplay, you can find her walking her dog, kayaking, gardening or listening to music. Join her on Twitter, LinkedIn, and Facebook and learn more! On behalf of the French Language Division, host Angela Benoit would like to thank Andrew Mucci of Sennheiser for a very generous gift. Andrew found out about our podcast and gave us a mini digital clip-on microphone called the ClipMic digital. Designed for podcasters, it produces fantastic sound, even when we record over phone lines with our guests who live overseas. Thank you, Andrew! 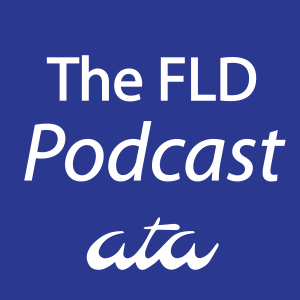 SOUNDCLOUD: You may listen to all of the FLD’s podcast episodes online or download them from SoundCloud. ITUNES: You may listen to all of the episodes online or subscribe to the podcast on iTunes. Have an idea for a new podcast episode that addresses the craft of English > French or French > English translation? Contact us! 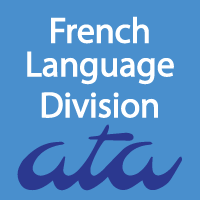 Previous PostI Tried It: Hiring a Translation InternNext PostJoin us for ATA’s 58th Annual Conference!